Please refer to the Google Calendar on the Ceramic Studio online course listing for the most accurate Open Studio dates and times available. 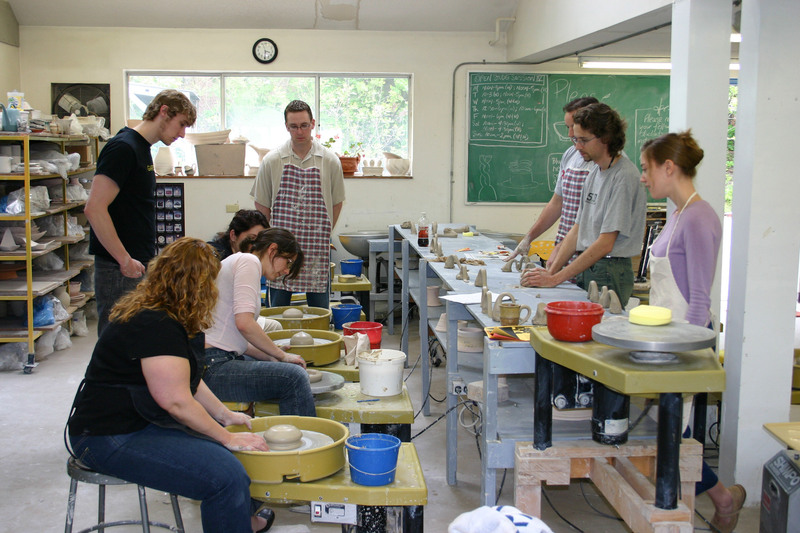 Open Studio for Enrolled Students - Ceramics: Use of any or all of the posted hours in the ceramics studio, for self-directed practice time. This option is restricted to students enrolled in a 6-week course during the corresponding session. Students may initiate or complete work, within the scope of the class in which they are currently registered. Hours are self-tracked by signing in and out of each period you attend, and each student may use as few or many hours during scheduled times, for the duration of the session. The Open Studio session expires with each course session. Non-matriculating students may use the first week of the following session to complete glazing of work during Open Studio. Students must be 18 years or older to enroll. There is no makeup or substitution for missed Open Studio.